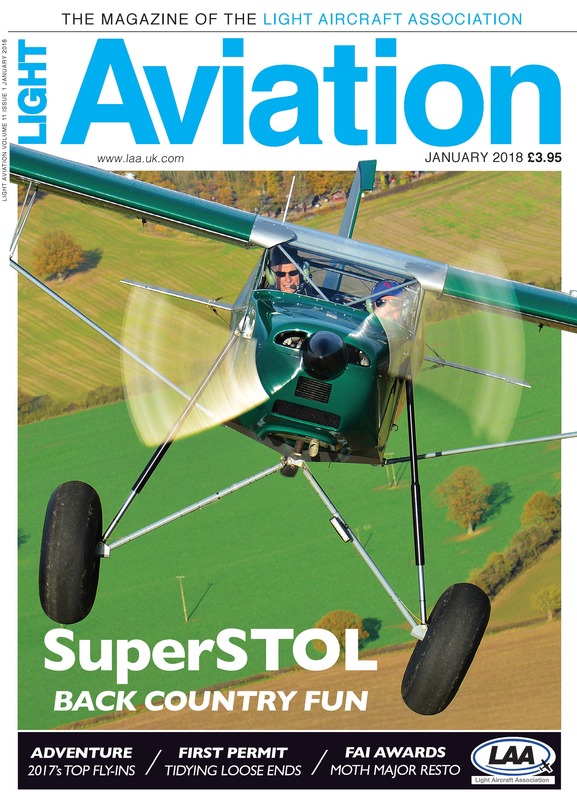 Chairman’s Chat - It’s easy to make excuses but let’s try to do more flying in 2018. News - NATS’ online Class D transit, 10,000 RV completions, TLAC takes on Ikarus. FAI Phoenix award - Nigel Lemon on his superb DH60G III Moth Major restoration. Projects - Cub rebuild, 34-year Colibri project flies, and a high spec Foxbat Kelpie STOL. Yaesu 8.33 radio - It’s a simple job to add a PTT to the headset lead. Struts 4U - Anne Hughes with a roundup of Strut activities and plans for January and February. STEM - Derby hosts a Science, Technology, Engineering and Maths inspired aviation event. Destinations - Martin Ferid’s three of the best fly-ins of 2017. 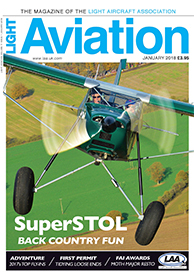 SuperSTOL Air test - Francis Donaldson flies this interesting STOL kitplane. Safety Spot - Mogas issues, Europa hoses, Prop swinging and Sling door loss. Project Montrichard - Andy Pitcher on buying an airstrip and gite in France. Meet the members - Part two from David Faulkner-Bryant, former chairman of the PFA. CEO Chat - Steve Slater celebrates the growth of Engineering courses. Classifieds - Bargains to whet your appetite.